KEN YUSZKUS/Staff photo. 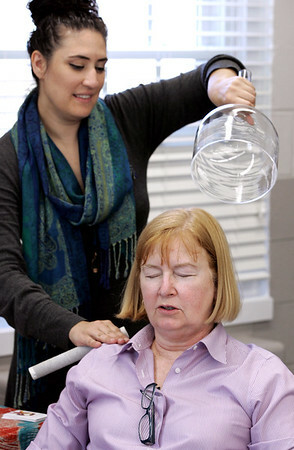 Kaile Dutton, left, administers reiki and sound healing to Cindy O'Beirne during the senior wellness day held at the Hamilton Council on Aging. 10/16/15.